Event marketers aren't psychologists, but having a deep understanding of marketing psychology can persuade consumers to register for an event. Using small psychological tweaks to market your event can make a huge difference in its success. Here are 5 tips and tricks to increase event registrations by using psychology to help website visitors realize the value of attending your next gathering. Unsurprisingly, savvy shoppers either opt for option 1 or for option 3, but few (if any) go for option 2. So why does The Economist offer option 2 at all? It's because by offering the middle option, marketers at The Economist are actually able to increase the amount of revenue made from people who decide to make a purchase. The pricing structure helps to show potential subscribers the value that option 3 is offering, value that they might not otherwise realize if option 2 were not there. Dan Ariely, an MIT Professor of Economics studied this pricing model, and found that students presented with three instead of two options spent 30% more than when presented with only two options. In short, the decoy effect can be used to encourage your event attendees to purchase a more expensive ticket or registration. Perhaps the most commonly used way of taking advantage of the human mind is by this method. Our eyes notice the digits 9, 99, and 95, rather than looking at the whole picture, we tell ourselves that we are paying less than we really are. As seen in the image below, all the tickets for TechCrunch's Disrupt end in "95" and for good reason. People base decisions on the first piece of information they receive. For this tactic to be effective, you have to state the initial price of the product and then display the sale price right next to it. It tells potential attendees they are not only getting a good deal, but that this product or service is high quality. Include real testimonials on your event pages from past event goers. In the eyes of potential ticket buyers, this gives your event authenticity and legitimacy. Note, Video testimonials have been shown to be even more effective than written ones. Media coverage is a feature that adds to your credibility if placed on your ticketing site. Simply placing logos of media outlets that have covered your event in the past can encourage those on the fence to take the plunge and register for your event. Make use of review aggregators (Yelp, Google My Business are examples) and display a star rating (assuming it's high) on your event website. People are increasingly relying star ratings to make purchasing decisions, whether they're searching for a place to eat, or are investigating event planning software. Event organizers should also consider displaying a star rating on their website to show that the majority of attendees had a positive experience in the past. This is a tactic employed by some of the largest and most successful online sellers. Companies like eBay and Amazon use scarcity to encourage shoppers to make a purchase. Similarly, event organizers should consider using scarcity to motivate event website visitors to take the plunge and to register for your event. In the example below, an event organizer using Bizzabo displays the number of remaining registrations per registrations type. Doing this serves to create a sense of urgency among potential event attendees visiting the site. 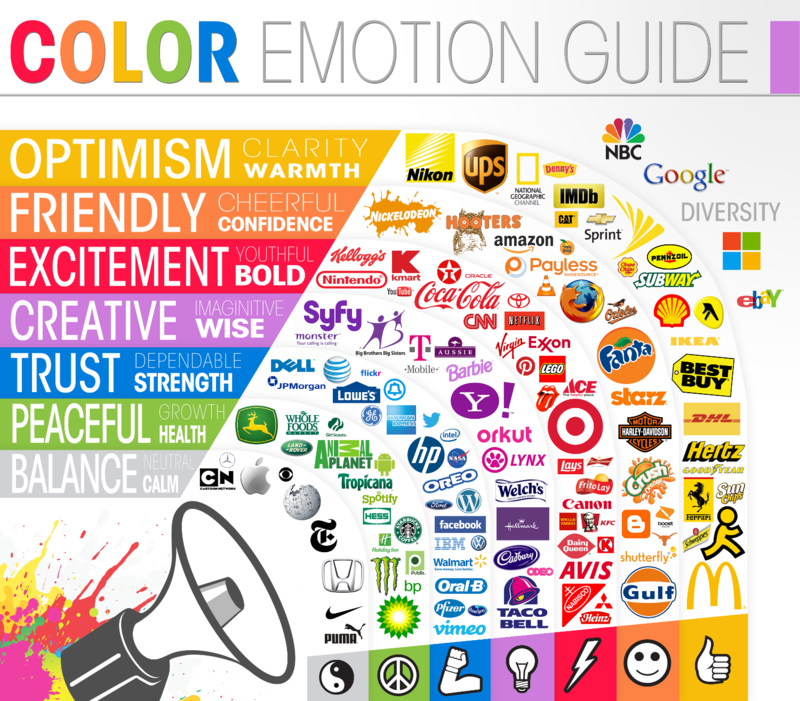 Color has a huge impact on our behavior and should never be underestimated in the context of marketing. One study found that people make up their minds about a product or a service within 90 seconds, and 62%-90% of that decision is based on color alone. Color can not only distinguish yourself from your competitors, but it can also speak to peoples' emotions. Even though color is powerful psychologically, there is no one clear rule to what the best color is. One color on a ticketing CTA (Call To Action) or button might outperform another purely because it contrasts more with the other page elements and not because of the color itself. The idea of reciprocity in social psychology is that if I do something positive for you, you will in turn feel more cooperative and it is predicted that you are more likely to do something positive for me. It creates good will and acts as a lead generation tool for potential buyers. What many businesses do is after a customer has made a purchase, they follow up with a discount code off their next order. In the same way, if a customer purchases a registration, you could follow up with a gift in return, such as a discount code to another related event that is upcoming. Creating reciprocity between your event and event attendees is a good way to build a loyal base of attendees who will register for multiple events. For event organizers interested in encouraging event website visitors to actually register for an event, using psychology can make a real impact on increasing conversions. Making use of the principles of pricing psychology, social proof, scarcity, color psychology and reciprocity can help to increase event registrations. For more help with increasing event registrations, download a free ebook on event advertising, and become a master of ad platforms on Google, Twitter, Facebook, LinkedIn and more!